As one might imagine, Ben Franklin didn’t conceive all of these witty epigrams himself. Sometimes he took old ones and adapted them to the times and his voice. “Fish and visitors stink in three days” actually originally comes from the 16th century writer John Lyly. In his most famous work, Euphues – the Anatomy of Wit, he writes, “Fish and guests in three days are stale.” Euphues (from Greek, meaning “graceful and witty”) was such a success when it was published in 1579, that today’s English word “euphemism” is derived from the title of the book Two hundred years later, Franklin would adopt a version of this saying as his own. As for food and drink, he battled gout for much of his elderly life. Once known as “the rich man’s disease,” gout is an arthritic condition that can come from the consumption of too much alcohol, too many foods rich in uric acid (like red meat, seafood, and organ meat), and not enough exercise. Again from the very first Poor Richard’s Almanack in 1733, this saying was probably meant as more of a joke than an actual truth. As one can imagine, this saying doesn’t sit well with doctors nor barbers. In fact, in 1919, New York City coroner (and son of famed physician George F. Shrady Sr.) George Frederick Shrady Jr. wrote as editor of a medical journal that “this (phrase) was true when written, but today the world knows the young physician is the best trained and fears him not. It’s now only true of the barber.” One wonders what the barber would say to that. While this exact phrasing may not be familiar to most, this proverb was the inspiration behind the more common workout (and t-shirt) saying, “no pain, no gain.” Printed in the 1734 edition of Poor Richard’s Almanack, Franklin emphasized the phrase “there are no gains, without pains” again in his 1758 self-help book The Way to Wealth. 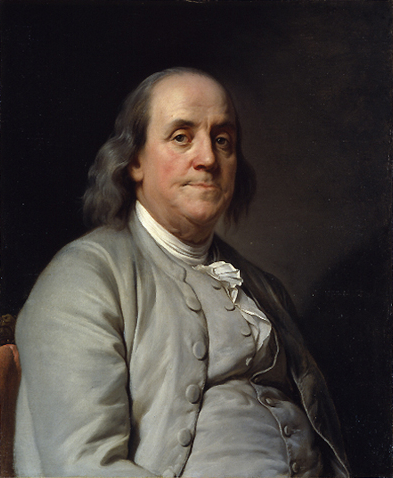 According to Ormand Seavey, editor of Oxford’s edition of Ben Franklin’s autobiography, Thomas Jefferson was chosen over the much more qualified Ben Franklin to write the Declaration of Independence because Franklin was known to put extremely subtle satire in just about everything he wrote and, quite often, it would be so subtle that no one would notice for some time. Knowing this document would likely be examined closely by certain nations of the world, according to Seavey, they chose to avoid the issue by having the much less gifted writer, Jefferson, write the Declaration instead, with Franklin and three others helping Jefferson draft it. as I’ve been warned by my doctor. I would suggest that Euphemism is derived from the Greek ‘Euphemia’ (speak good words) not some book title.